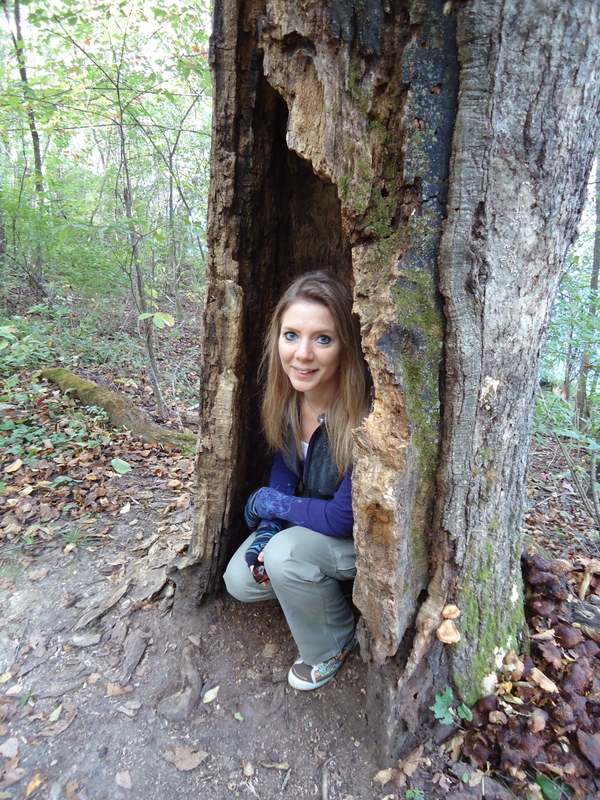 Remember the pictures I’ve shared over the years of this cool hollow tree on a hiking trail we love to go to? I always love to hide inside the tree to pose for a picture. We haven’t been on this trail for about two years, and we recently discovered that the tree collapsed. Here’s what’s left of it. Naturally, I still had to climb inside anyway. 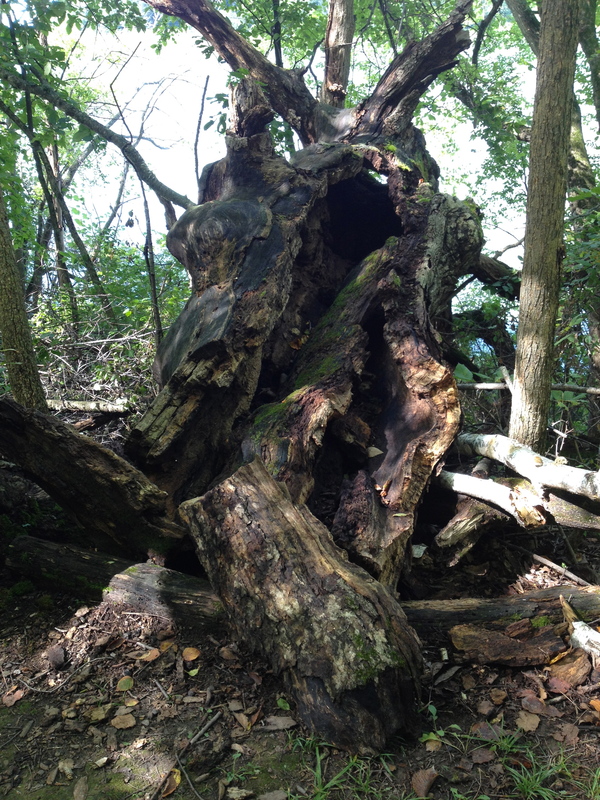 This old tree was such a wonder to discover in the woods and watch it decay over the years. I’m sure it provided shelter and sanctuary to many critters. Hope you’re out finding treasures in your world too. Thanks so much Staci! 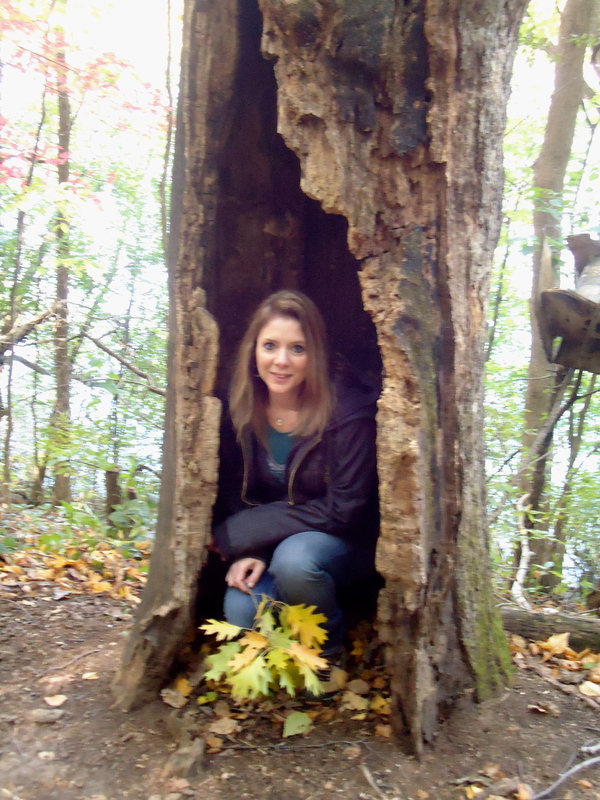 I was sad when we discovered my hollow tree had fallen. It was such a cool thing to find in the woods. And it’s been fun to watch it change over the years. Such a shame hollow tree has fallen but it will be just as much fun to see all of the new life which grows from it and finds shelter in it. I bet you find some really cool fungi when you next visit. I’m pleased you can still fit inside though as that would have been too sad. 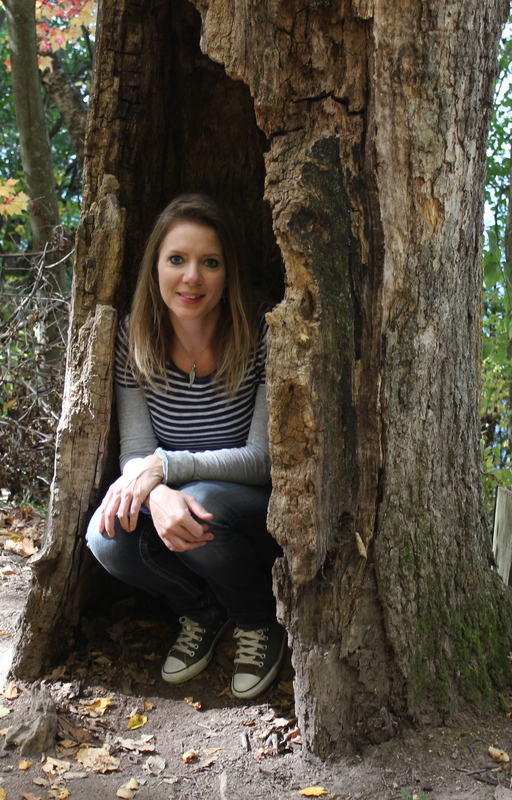 My favourite picture of you inside your hollow tree is the avatar one. My heart sank when I first saw that my favorite tree had fallen. 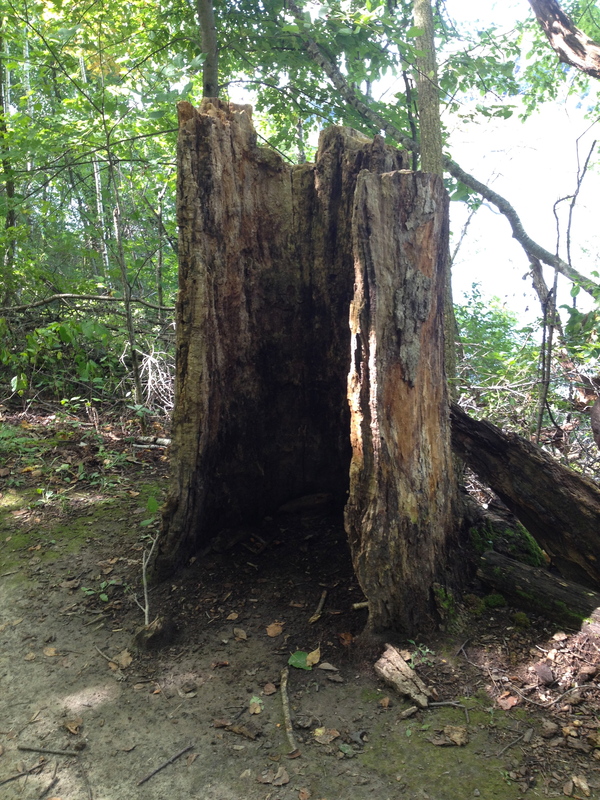 It was quite a huge tree so we curious about what happened to it and how it became hollow originally. Such a cool wonder! How sad 😦 glad you were still able to get a photo inside though!